Eric’s Dad (72 years old) passed from this life into the arms of Jesus at 12:08 am (Utah time). The hospital staff had taken him off of breathing machines earlier that day, after Eric and each of his family members had a chance to say goodbye individually. That night before leaving the hospital, Eric read Scripture passages to his Dad and two brothers. I love it that these were among the last words spoken: Joshua 1:9: “Do not be terrified; do not be discouraged, for the Lord your God will be with you wherever you go.” What a great promise — even in the passing from life as we know it. Eric and his family are filling out papers this morning and making arrangement for his Dad’s body to be cremated at a local mortuary. The memorial service will be at a later date in Hawaii. I think Eric will be driving back to L.A. with his brother Mark, and returning back to Japan on Monday. He will then go back to Hawaii for the service. Tonight at dinner I pulled out our green plastic “kampai” goblets, we filled them with rootbeer, and the kids and I spent some time during dinner remembering Grandpa. They all remembered how he loved to give them popsicles at night; and made great portuguese sausage and hash browns for breakfast. Annie remembered one morning in Hawaii how he came in and helped her wake up after the other kids had already gotten up; Owen remembered fondly an afternoon when the Eric and Grandpa went with him to fly his new Christmas kite in a nearby park; Olivia knows that Grandpa and Grandma gave her the special doll that sits in her bedroom. I told the children that I love how Grandpa modeled generosity. He was always willing to give when there was a need, and modeled a generous heart to all of his family that was contagious. He will be sorely missed. We are so sorry for your loss. My dad is also 72, so while years ago that seemed old, it certainly doesn’t any more. Your family has been in our prayers. How wonderful that all of the family was able to be with him and say their good-byes. Even if he wasn’t conscious, I am sure he felt their present and knew they were there. They always taught us when I worked for Hospice that the hearing is one of the very last things that still works. So many times a patient is hearing your words even when you don’t think they are. I hope this gives Eric, his mom and siblings some peace to know they were able to comfort him in his final earthly hours. And how wonderful to know that he is with our Savior! God bless all of you. Hugs to you, my friend! Sue, What a touching way to share those memories with the children! We will be praying for Eric and for the rest of the family at this time. I was so glad Eric was with him for the final hours. Thank you so much for sharing a little bit about Eric’s dad with us. When I look at the picture and read the memories that you and the children had of him I see what a truly caring and warm man that he was. I’ll be praying for you and the family! Dear Sue and Eric, I’m just getting caught up on reading your blog, and so just now am commenting. 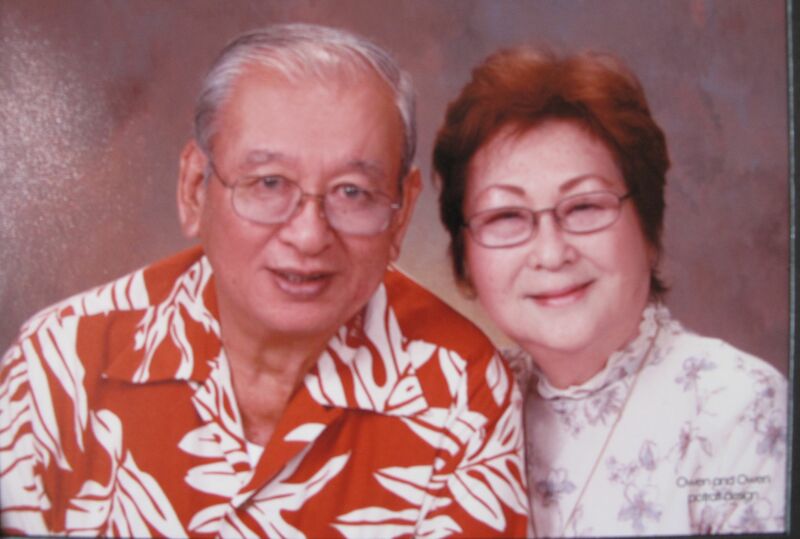 What a wonderful Grandpa Takamoto your children have been loved by! Praise God we will all see him again someday! God’s blessings and comfort to your family!